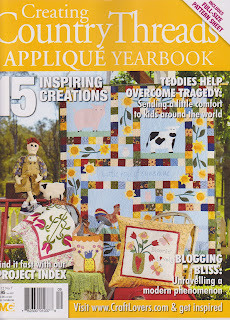 In the last three issues of "Creating Country Threads" Ive made the front cover!! Tis an exciting experience to see your projects in a major magazine. 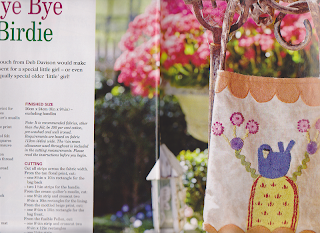 This issue is my folk art bag 'Bye Bye Birdie'. I have a few others drafted in the pile of things to completed.... 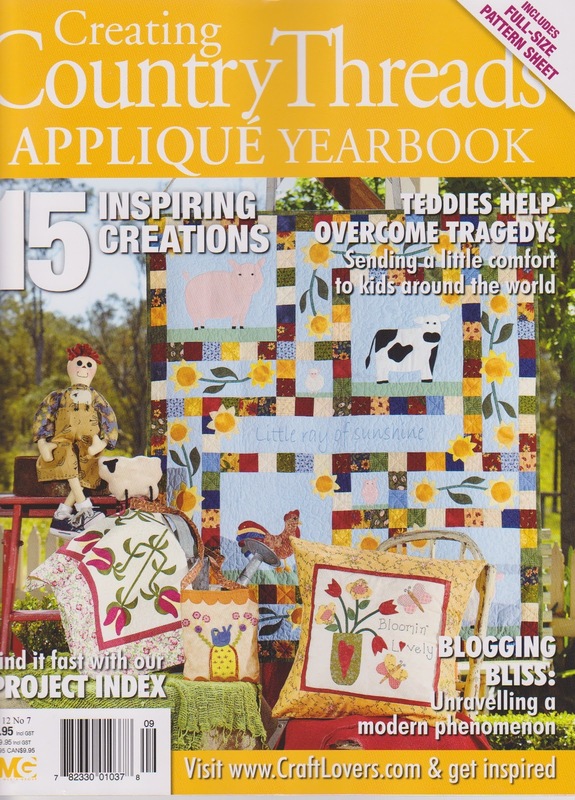 I have a few more projects scheduled for the magazine next year as well yay! My main priority is to complete the new patterns for release late Jan/ early Feb. With only one toddler at home in the day time, my focus will be on trying to get to the Darling Harbour Quilt Fair in June...fingers crossed!! !